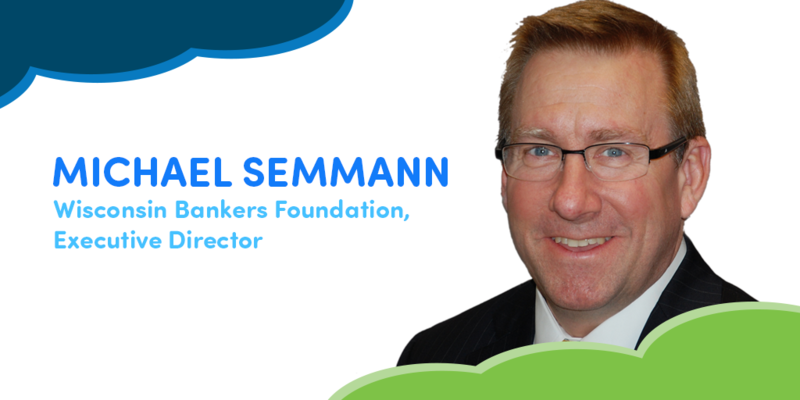 I am pleased to share Wisconsin Bankers Foundation, Executive Director, Michael Semmann’s insights and experiences on kids, money, and financial literacy education. Sam X Renick: This a question I ask everyone. It is the question I asked myself prior to creating Sammy Rabbit and entering the financial literacy industry. If you could only teach a child one money habit, WHAT money habit would you teach them? Please explain why. Michael Semmann: I would teach the concept of trade-offs. I would do it in a way that builds confidence and communicates to each child if you do X, then you will see Y outcome. We all start at different places with our decision-making skills based on multiple factors. Often, this is something we don’t even recognize. This has an impact on the decisions we make with our money later in life. My grandparents told me stories of how they got through the Great Depression living in Milwaukee, Wisconsin. They shared how important it was to make good decisions because resources were so scarce. Both sets of my grandparents were married in the early 1930s. And, all their friends were in the same situation. It was fun to hear about how they all got together to sing songs and play games for entertainment. They introduced me to the concept of saving first, so you feel empowered when you make decisions about your money. It was interesting to me, because they also valued giving back to their community. They always found a way to do both. I learned those two concepts are not mutually exclusive. Renick: Did your parents talk to and teach you about money as a child? Please share a little about your experience on the topic while growing up. And, if you have children are you talking to and teaching them about money? Please share a little regarding this. Semmann: My parents did try to talk to me about money. We even set up a budget for my $1 per week allowance. However, as a 9-year-old, it was tough for me to sit through a discussion that seemed to last for hours, about what part of the dollar should go into savings and what part I should be able to spend. Renick: Why do you think it is important for kids and young people to learn about personal finance (and/or economics)? The range of money decisions one makes go from the mundane to those with more significance. Grocery purchases. College choices. A first house or car. Retirement. Personal finance even has an impact on relationships with family and friends – everything. Nothing else you can learn has as far-reaching an impact as understanding how money and financial trade-offs work. Renick: At around what age did you realize “money was money” or that it had a value? Please share the circumstances or how the realization came about. Semmann: I remember learning money was money when I was pretty young (4-5). This may be because I had older siblings who were seeking first jobs at the time. It could also be credited to a book I received that had fuzzy money on its inside you could feel with your hands. The color and feel of the money in the book are something that stuck with me for some reason. Renick: What was your first job? Please share a little about it and what you learned from it. Semmann: My first job was an assistant track coach for our local park and recreation department. I was fortunate to be given this opportunity. But I can’t say I learned much about money in that job. The biggest money lesson I learned was paying for a work permit. Even though I was reimbursed later, it was eye-opening that there could be a “cost” to working. Renick: Did you work while you were in college? Please share a little about how working or not working while attending college affected you, your studies, and personal finance choices including student debt. Semmann: I worked three jobs in college. I never really learned how to balance school, work, and social life. Knowing why you are going to college and staying focused on the “why” is very important. Semmann: Not learning how to practice balancing a checkbook before getting my first checking account. A close second is getting a credit card at age 18. A close third was withdrawing most of my savings to buy mutual funds in early 1987, so I could have “a lot” of money for college. If you remember, in October the stock market dropped over 500 points and roughly 25% in one day. The list could go on! Semmann: Saving most of my paycheck when I was working as a teenager and being curious about money. Renick: What is one thing you think teens are doing right when it comes to money? And, what is one thing you think they need to improve? Semmann: Teens today are very open to trying new ways of managing money, from apps to artificial intelligence. That’s great! There is a whole industry springing up around this technology. However, many teens need to understand the security risks involved. Or, they need to be aware a response is often required to the information they receive from those technology tools, for the tools to be effective. Renick: A variety of surveys indicate it is a challenge for parents to talk to kids about money. What would you say is one reason parents find it difficult to talk personal finance with their children? And, if you have a suggestion on how they can overcome the obstacle, please share that as well. Semmann: I think many adults don’t feel like they understand their finances, so they feel unqualified to teach their children about money. Even if you’re not struggling to make your monthly mortgage payment or balance the household budget, it’s natural to tell yourself you’re not up to the task of teaching your kids about money. The best way I know of to get over that fear is to recognize that you’re always teaching your kids about money, whether you talk about it with them or not. They’re learning from your actions. So, if you want them to do better than you are today, talk to them about how you’re succeeding and where you’d like to do better (provided they’re old enough to understand). I’ve avoided specifics about dollar amounts as that can get in the way. I’ve also been judicious at times, because I don’t want to make my burdens my kids’ burdens. Again, try to teach trade-offs and give kids the opportunity to take positive risks and make (little) mistakes. Semmann: I think it’s similar to why more parents don’t teach their kids about money. Many teachers have no formal training in how to teach personal finance, so they don’t feel qualified to do so. In Wisconsin, we’ve now passed a law requiring personal finance to be included in K-12 curriculum. Our state is fortunate to have several great teacher-training resources available to help school districts implement that requirement. The best way for children to develop sound financial habits is for them to learn it at school and have those concepts reinforced in “real life” situations at home. Renick: Cambridge University research indicates adult money habits are set by age 7. WHAT IF the research is wrong and adult money habits and attitudes are formed earlier than age seven – perhaps around the age the “give me” syndrome sets in. 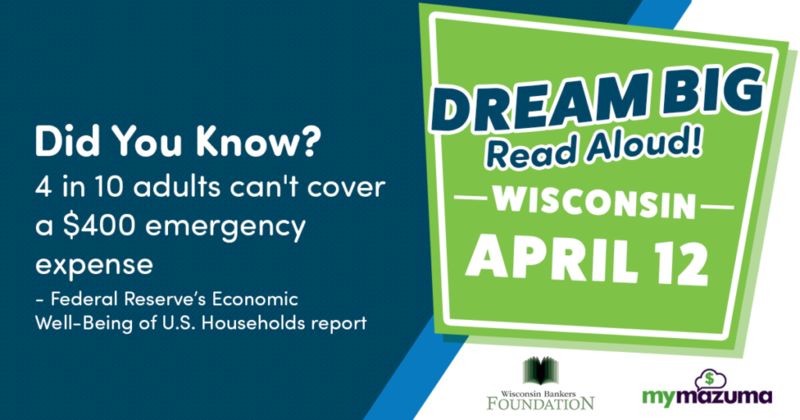 What does this mean for families, schools, financial education industry? Semmann: This is a tough one for me. I’m of the mindset that while certain traits are hard-wired early, anyone can transform and be able to practice habits that give them confidence. Taking positive risks and being able to learn from mistakes before they could have a permanent impact is what the schools should focus on in every grade. Lead by example and learn by doing. Renick: What is one of your favorite books on personal finance and/or economics? And, is there one lesson that stands out from the book? Semmann: OK – this is an odd one and not exactly about personal finance, but… Showdown at Gucci Gulch. It’s a book about how the 1986 tax reform got passed. As an adult, understanding how influence is achieved and used along with the consequences of monetary and tax policy reminds me that we have an obligation to teach others about achieving financial confidence and personal financial empowerment. Check back soon for Part 2 of our discussion with Mike Semmann!